Icron Technologies is a visionary leader in high performance video and USB extension solutions for commercial and industrial markets worldwide. 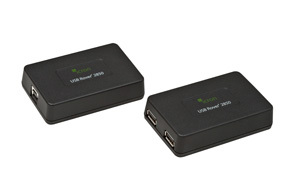 Icron's patented ExtremeUSB® technology extends USB 1.1. and 2.0 devices beyond the 5 meter connection limit to distances of 25 miles (40 km) over various media types including Cat 5, Fiber, Wireless, Coax and Powerline. Icron’s ExtremeLink™ technology transmits video and USB from a PC to a remote display and workstation area over Cat 5 cabling, a corporate LAN, or via wireless. QDS is a authorized reseller of ICRON products and has sucessfully use ICRON's extenders in various project which requires specialized USB extension needs. While there are many USB extenders in the market, many of these extenders only works for very basic USB accessories such as keyboard and mouse. 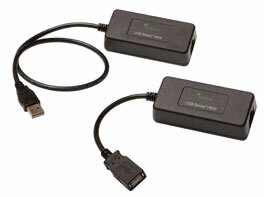 ICRON offers true USB extension which works for most USB accessories. Contact us to find how ICRON products can address your USB extension needs. 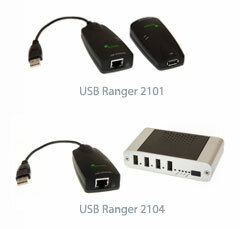 Extends USB 2.0 up to 100m/328 ft. 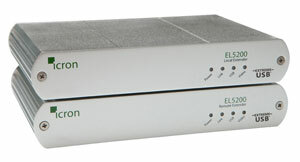 Single port (2101) or four port (2104) Class A device. Extends USB 2.0 up to 100m/330 ft Four port extension Class B device. 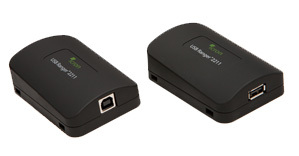 Extends USB 2.0 up to 100m/330 ft Two port remote powered extension. Class B device eliminates the need for AC power at remote hub. Extends USB 2.0 up to 500m/1640ft Four port extension Class B device. Extends USB 2.0 up to 10km/6.2 miles Four port extension Class B device.